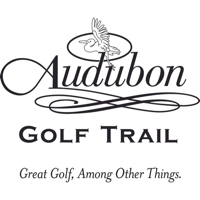 Audubon Park Golf Course is located just minutes from downtown New Orleans on the St. Charles Avenue streetcar line, across from Tulane University. It sits within Audubon Park and next to the world famous Audubon Zoo. Audubon Park opened in 1898 and was the site of the 1884 World's Fair. The golf course was redesgined in 2001 and reopened in October 2002 as one of Southeast Louisiana's most prestigious golfing destinations. Audubon Golf Course is the only public golf course to reopen in New Orleans since Hurricane Katrina devastated the Gulf Coast. Please call 504-212-5290 for current rates. Call 504-212-5290 for rates and tee times. Contact Audubon Park Golf Course at 504-212-5290 for more information and details on holding a golf outing at the course. Contact Audubon Park Golf Course at 504-212-5290. Contact Audubon Park Golf Course at 504-212-5290 for onsite or nearby dining options. This profile was last updated on 07/13/2018 and has been viewed 6,648 times.